Seems like this monitor is dropping down in price slowly. Bought it from Amazon a few weeks ago for £299.99. You can get vouchers and TCB for Currys, so should be able to reduce the price further. For 240hz in certain games it definitely is. Nobody can really make use of 240hz at any higher resolution anyway with current GPUs. For 240hz in certain games it definitely is. Nobody can really make use of …For 240hz in certain games it definitely is. Nobody can really make use of 240hz at any higher resolution anyway with current GPUs. I had this monitor for a while and loved it. I don't think it's a huge upgrade for people who have 120/144hz already. It's beautiful to look at and built like a tank. Don't go thinking you will be able to Max all games out and reach 200+ frames. You need a mega fast CPU to hit those frames, even at low graphics settings as the GPU becomes a bit useless at this resolution at those kinds of frame rates. I decided to get a Dell 1440p 144hz with freesync instead as it's a better balance imo. 144hz at 1440p is the sweet spot, and if you are someone with a less capable machine to hit 1440p, the likelyhood is that your CPU is too weak to hit 200+ fps so 1080p 144hz would be enough and probably cheaper. Good price though and heat added. I had this monitor for a while and loved it. I don't think it's a huge …I had this monitor for a while and loved it. I don't think it's a huge upgrade for people who have 120/144hz already. It's beautiful to look at and built like a tank.Don't go thinking you will be able to Max all games out and reach 200+ frames. You need a mega fast CPU to hit those frames, even at low graphics settings as the GPU becomes a bit useless at this resolution at those kinds of frame rates.I decided to get a Dell 1440p 144hz with freesync instead as it's a better balance imo. 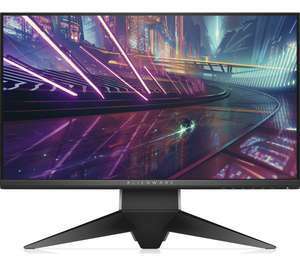 144hz at 1440p is the sweet spot, and if you are someone with a less capable machine to hit 1440p, the likelyhood is that your CPU is too weak to hit 200+ fps so 1080p 144hz would be enough and probably cheaper.Good price though and heat added. Which Dell 2K 144hz are you getting? I already bought the S2719DGF. It did cost me an extra 80 quid on top of this monitor but for the quad HD screen it's better, and at 27".